Following the extended article on Is There A Problem With The New 2018 MacBook Pro? Check Out Our Initial Analysis Now and my article I Might Be Buying A New Apple MacBook Pro As My Pro Tools Computer Soon what has become apparent is whether these issues of overheating and throttling would be an issue for Pro Tools and other DAW users, or is that we are simply asking too much of our laptops now. We also wanted to try and establish what, if any, problems the overheating that have been experienced by video users would show up when using Pro Tools as we understand Pro Tools and other DAWs have different needs and put different loads onto computers, even though Apple has now appeared to have 'fixed' the thermal problem. We have asked a number of people experienced in writing the code for the software we use to share their thoughts on whether a new MacBook Pro would make a good Pro Tools computer. We also share some thoughts from someone who has had some time with a 2018 i9 6-core MacBook Pro using Pro Tools. Expertise in audio signal processing, using both proprietary and commercial components. 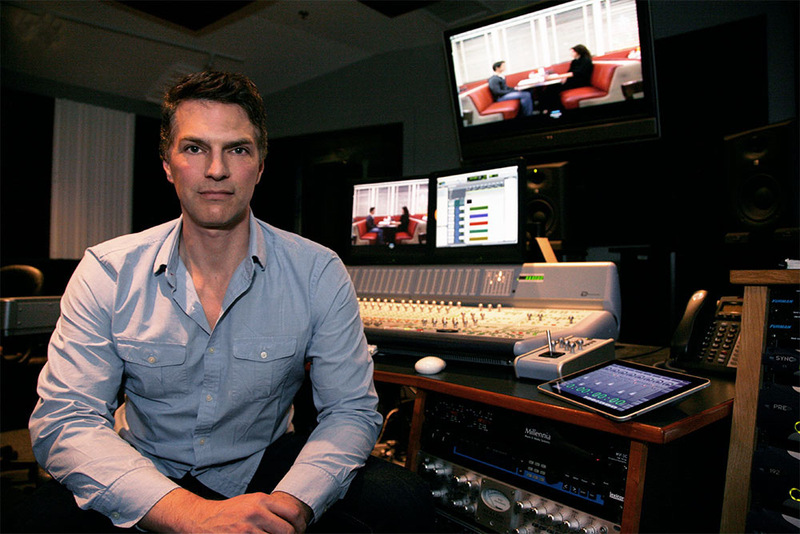 Author of digital reverberators and other audio processes considered to be among the world's best. 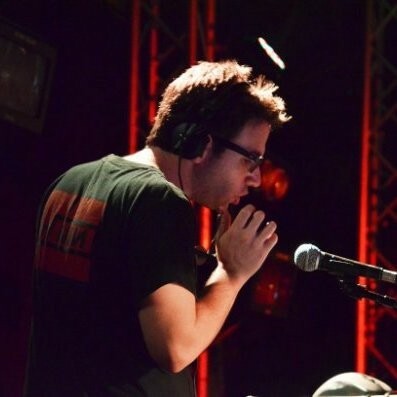 Author of several popular audio plugins running on both OSX and Windows. Experience in code development under Apple's XCode, Visual DSP, and Windows Visual Studio. Expertise in real-time control systems - author of two control automation programs for audio products. Supported frame-accurate editing, recall and update. Expertise in software architecture, based on needs and analysis of data flow. Expertise in real-time operating systems, both commercial and home-grown. These have been used in audio, medical imaging and speech recognition products. Author of numerous tools, including microcode compilers, extensions to build environments and tools for data analysis. Clean and efficient coder with considerable multi-threaded experience. The tests seem to use Final Cut Pro as a benchmark. FCP will use the graphics capabilities of the hardware intensively, but in an audio DAW, there is actually only marginal use of the GPU. Most everything in the audio world lives in the CPU. So we're talking about apples (well we ARE aren't we) and oranges. There may well be thermal issues related to audio DAWs, but they may be somewhat different. I'm sure that the FCP routines used in rendering are highly optimized and will use every available bit of silicon in the GPU. Offline/AudioSuite may have some comparisons since they also push the silicon and are unconstrained by the beat of a word clock. But it's different silicon and there will probably be far fewer parallel operations. So how the hot points evolve (and where they are) will probably be different. Real-time audio operation, unless the laptop is being pushed without mercy, will probably be more forgiving. Real-time operation is more about short bursts of activity, interspersed with very short periods of rest (I know I'm anthropomorphising a bit). So in a sense, the whole kerfuffle is based on a benchmark that might not be a good fit for audio. Don't assume that a laptop is capable of the hours-long workhorse performance of an actual desktop CPU. A modern laptop packs quite a wallop, but it's still designed for portability and occasional power. You know how hot it can get sitting in your lap: imagine how much hotter it is right next to the chips. Depending on the kind of audio work you do, there still is a possible advantage in six cores over four. Most DAWs will spread the load nicely over multiple cores and will allow you to do more stuff. Add the number of cores and multiply by the baseline clock speed (not the turbo number). That will probably give you a better approximation of the system's potential performance. I do see it as a possible problem - just as it's a possible problem in a 2017, 2015 or 2013 laptop. I suppose the real key is to understand when you're asking too much. To the best of my knowledge, DAWs do not use the GPU much if at all. And my quick reading of things looks like testing has been focused on things that use the GPU significantly (Adobe Premiere, Cinebench 15). So, some audio specific testing will probably show its own set of results. [Mike - we are planning to undertake some detailed tests soon]. I would expect an offline bounce to run into thermal issues eventually because it will try to use the CPU to its limit. And it seems that the new CPU can get throttled down so much it eventually performs worse. So, the question is how heavy and long of a session is required to start hitting those issues. I would expect shorter bounces to perform faster because of the TDP difference. [Mike - We cover TDP (Thermal Design Point) in our Is There A Problem With The New 2018 MacBook Pro? Check Out Our Initial Analysis Now article]. I would expect mixing/playback to perform better because of the TDP difference. But if the CPU usage gets to a point where the heat throttles it down, then it gets worse. Specialities: Programming, Electro Acoustic Vision, Pro Tools Editor. Unlike FCP, Premiere or other creative uses, we have what's called "soft-realtime" deadline. Pro Tools or any other DAW needs to meet a deadline - all audio tasks should finish before that deadline or we'll get those nasty DAE errors or audible dropouts. Modern computer processors are constantly changing their operating frequency (and voltage) depending on workload. For Intel processors, this is often handled by the operating system which will request a particular level of performance, known as the Performance State or P-State, from the processor. The processor then adjusts its frequencies and voltage levels to accomodate, in a DVFS (dynamic voltage and frequency scaling) sort of way, but only at the P-states fixed at the time of production. While the best for performance would be to run the system at the maximum all the time, due to the high voltage, this is the least efficient way to run a processor and wasteful in terms of energy used, which for mobile devices means a shorter battery life or thermal throttling. It seems SpeedShift is being supported on macOS from 2016 providing snappier state changing according to the Pike's Universum blog. Moving on to Turbo Boost, Turbo Boost is a nice name for overclocking managed by the CPU. Unlike overclocking though, it's designed for short (peak) bursts and based on thermal monitoring. What about the expected impacts on DAWs like Pro Tools? AudioSuite or Track Freeze - These shouldn't underperform. Neither of these tasks are utilising cores and you won't see real gains from additional cores (6 vs 4). The clock frequency & IPCs (Instructions per cycle) have the biggest impact. Offline Bouncing - This task is the closest to the FCP and Premiere tests. But, with the exception of an entire live show or a feature, which is longer than a few minutes, I'm not sure there should be any concern. Real-time mixing or virtual instruments tracking - This is where you might hit the throttling. Heavy projects might behave unpredictability getting buffer underrun errors due to sudden performance decrease. Video - A project with a video engine running and using some GPU assisted decoding might contribute to heat and cause throttling. For now, I guess sticking with the i5 and i7 would be the safe bet. However, Apple's fan policy might be part of the problem according to comments on the MacRumors website from "rainking" suggesting forcing fans to kick in using an app might provide the constant performance needed by an audio user. So I installed Macs Fan Control and maxed both fans and ran torture test for at least 5 minutes on Prime95 and held a constant 3.0GHz on an i7 2.6. As soon as I turned the fans to auto, that's when it started to dip below base frequency. So in theory, Apple could fix this with a much more aggressive fan speed profile. Prime95 is now a standard benchmarking/stress testing tool. The original concept was to slow down CPUs for older programs without speed limiters. Basically just makes your computer try to solve for prime numbers. These days overclockers use it to load their CPUs to confirm they are stable at high voltages/clocks and to see what the max temperatures reached are. It is by no means a 'safe' application. If your CPU does not have adequate cooling, Prime95 can cause your computer to overheat. Normally this will just cause a unexpected reboot, but prolonged overheating can damage your CPU/motherboard. It is falling out of favor as a stressing tool because it doesn't utilize every part of a CPU simultaneously. I personally set the fans to the read the sensor off the "CPU PECI" sensor and the fans to kick in @ 50 deg C. When I jumped over to prime 95 I see a marked improvement. in test 1 & 3, no change, rock solid 2.9ghz across all cores. When we hit test 2 & 4, thats where it gets interesting. With the fans on auto, the throttle starts immediately, however using FAN SMC Controller, it hits much later, almost at the end of the test. I also noticed that it goes crazy as the thermal draw exceeds 45w and goes up, then it agressively throttles. i'm quite happy to see that this is throttling can be mitigated to a certain degree. we will have to test more and perhaps see what happens over the course of the next few days/weeks. Alternatively, the control of the fans could be improved by an Apple update. You can read the full debate into this on the MacRumors website. Update: Apple has now provided a software update that should resolve the most reported issue). Personally, I'm planning to purchase the 13" so I'm reading and watching this story closely ;) The new 13" MBP also has some reviews mentioning similar performance issues. In addition, I've had this laptop (HP Zbook G5) for some testing with 8750H and Quadro GPU. Under Prime95 for about 30 minutes it got those fans running and kept pretty constant 2.3Ghz and 95-98c temperature across all 6-cores. However, it's much bulkier than Apple's laptops and it proved not suitable for audio as it dropped out badly. However, it was providing stable clock but it's far below the maximum turbo frequency suggested by Intel. With Apple's latest updates I guess you'll see similar behaviour across all CPUs, which is ~100Mhz above base frequency when utilising all cores for a long time (such as running a fully loaded Pro Tools session during tracking/mixing). Moving onto the GPU, it is my opinion that a discrete GPU for audio applications is a waste and is being used very lightly. However, with current 15" MBPs you can't avoid them. Geekbench's own testing suggested it might add to the heat. In the MacFormat email newsletter published on Saturday 21st July 2018, Editor Alan Stonebridge shared that earlier that week, Apple invited him to Amsterdam for a briefing about the new notebooks and they arranged a Q&A with several professionals including award-winning film score mixer, Gareth Cousins, who demonstrated one of his personal projects in Pro Tools and explained how the MacBook Pro handles all of this internally. Previously, he had to lug around an old Mac Pro tower and external box between studios to drive this kind of creativity. Over his 30-year career, award-winning British mixer, producer and composer Gareth Cousins has been a part of some of the most groundbreaking film music in recent history, including the BAFTA and Academy Award-winning score for Gravity and scores for blockbuster titles like Baby Driver, Suicide Squad, American Assassin and Notting Hill. Beginning his career at Abbey Road Studios, he has collaborated with some of the biggest names in the music industry, including Phil Collins, Elvis Costello, Sting and the multi-platinum classical crossover quartet, Bond. Throughout his career, Cousins has composed his own music, scoring hundreds of television episodes. In addition to his work on big and small screens, Cousins recently partnered with the venerable Royal Shakespeare Company to record and produce the scores and speeches for the complete cycle of Shakespeare’s plays. I'm not qualified to get drawn into the technical aspect of this debate... I have no idea what goes on under the bonnet of the new MacBook Pro or any other computer for that matter. However, I can tell you what my experience has been testing the MBP in my own studio, running an actual mix session with over 400 active voices, and all processing/reverbs all switched to "native". Attached to the MacBook Pro was a Sonnet chassis with 2 x HDX cards - these were used only to enable the high voice count, all processing was done natively in the MacBook Pro. I don’t believe I ever saw any evidence of thermal throttling during the time I was playing around with Pro Tools on the new MBP, even though I was using an unsupported hardware/software combination. (Mac OS 10.13.6, PT HD Ultimate 2018.4). The native processing being used remained completely consistent at all times so far as I was aware (showing around 50% processing with headroom still available), which to me would point to there being no obvious throttling of performance, heat related, or otherwise. At various times, I also had 2 additional screens running directly from the MacBook Pro. I would hope Avid will test and support the new MBP and OS as soon as possible. It's a remarkably powerful machine. I, for one, would absolutely love Avid to remove the track count restrictions that at present require HDX cards to be attached to allow 512 (HDX2) or 768 (HDX3) voices. In my opinion, this machine, with an attached PCI Chassis, is more than capable of running a highly complicated film score mix with very high track counts. Once the PCI restriction has been removed by Avid (which in effect uses the HDX cards as dongles to enable high track counts), it will be possible to turn up to a studio, plug the MacBook Pro into a Thunderbolt interface, and carry on working smoothly on a huge mix. For the record, I have been using an Apogee Symphony I/O MkII (with HDX and Thunderbolt options), which is excellent. The MBP has 32Gb RAM and a 4 TB hard drive, so loading times from disk are also very, very quick. There you have views from 4 very well informed people, 3 covering issues under the hood and what could be a problem and the hands-on experience of one person actually using Pro Tools on a new i9 6-core MacBook Pro. 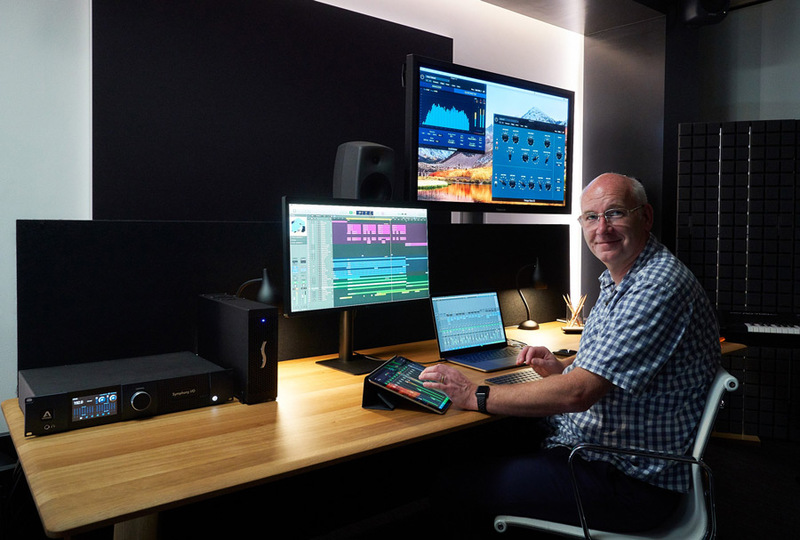 Based on Gareth's experience, there doesn't seem to be a problem with Pro Tools but our 3 technical experts suggest there could be problems especially when it comes to bouncing long sessions, but the new Apple fix may resolve that, only time will tell. 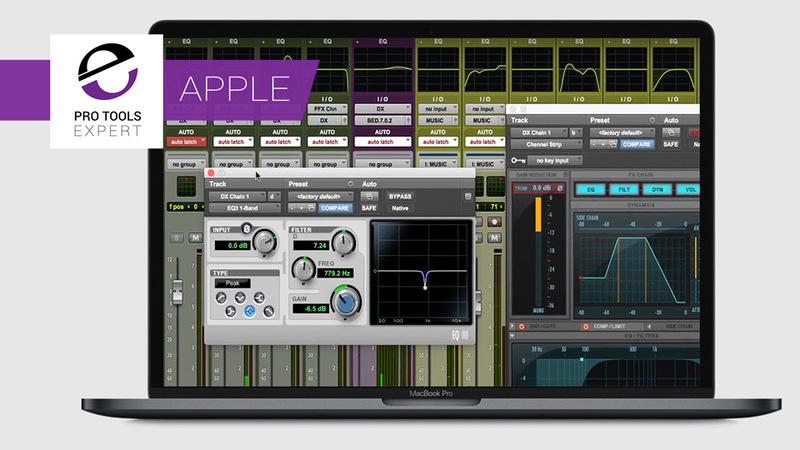 We are planning to get some time with a MacBook Pro where we intend to run some tests based on advice from our experts as well as using our own Pro Tools Expert benchmark session.